This weekend players can spend 23 Strange Coins on the Hawkmoon hand cannon. Hunters can grab the ATS/8 ARACHNID helmet, Titans can pick up the Twilight Garrison chest armor, and Warlocks can purchase The Ram helmet which all cost 13 coins. Xur is also selling Legacy Heavy Weapon Engrams for 31 coins. 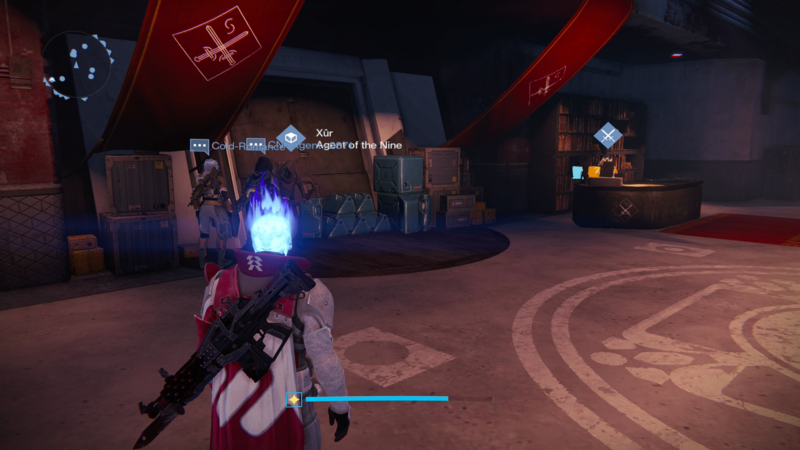 For this week, Xur – Agent of the Nine can be found beside the Crucible Quartermaster in the Tower.